I just added this series to my Netflix list, and the pilot impressed me in the first fifteen minutes. The scenes which showed the recently deceased people suddenly being inhabited by the "consciousnesses" of the "operatives" from the future was done extremely well. We see the tragic deaths of several people, and then they suddenly become very composed and eerily focused. Having read the Wikipedia info below, I knew what was going on. In a post-apocalyptic future, thousands of special operatives are tasked with preventing the collapse of society. These operatives, known as "travelers", have their consciousnesses sent back in time and transferred into the body of present-day individuals who would otherwise be moments from death, to minimize unexpected impact on the timeline. The transfer requires the exact location of the target, made possible by twenty-first century smart phones and GPS. Prepared using social media and public records concerning their targets, each traveler must maintain the host's pre-existing life as cover for the rest of their lives, while carrying out missions in teams of five. These missions are dictated by the Director, an artificial intelligence in the future that monitors the timeline, aimed at saving the world from a series of catastrophic events. One method by which the Director communicates with travelers is via pre-pubescent children used as messengers; unlike adults, any child can safely be taken over for a few minutes and then released from control without risk of killing them. All travelers are required to behave according to certain protocols to protect the timeline. 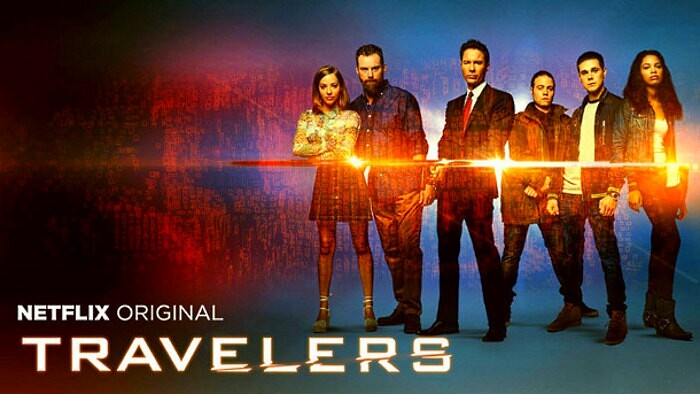 As the series progresses, however, travelers affect the present and future in unanticipated ways.